This case sealer can be used for applications where previously erected cases are loaded and flaps are manually closed. Features include a plug-in operation, dual masts with twin lead screws for stability, and precise top and bottom sealing. Side mounted compression rollers provide tight seals, and heavy duty side-belt drives ensure square cases. 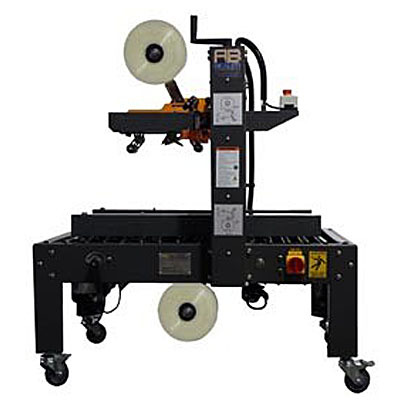 Please watch this video for further information about the Semi-Automatic Uniform Case Sealer.